Art at Lifelong is thriving! We have expanded our use of the large conference room to include exhibiting work by our membership, but also will be featuring art from the community at large. Each exhibit will open as part of Ithaca Gallery Night (First Fridays) and run about two months. Drop in and take a look! Susan Stolov began to paint 12 years ago. A professional classical musician for most of her life, this is the first public exhibition of her visual art. 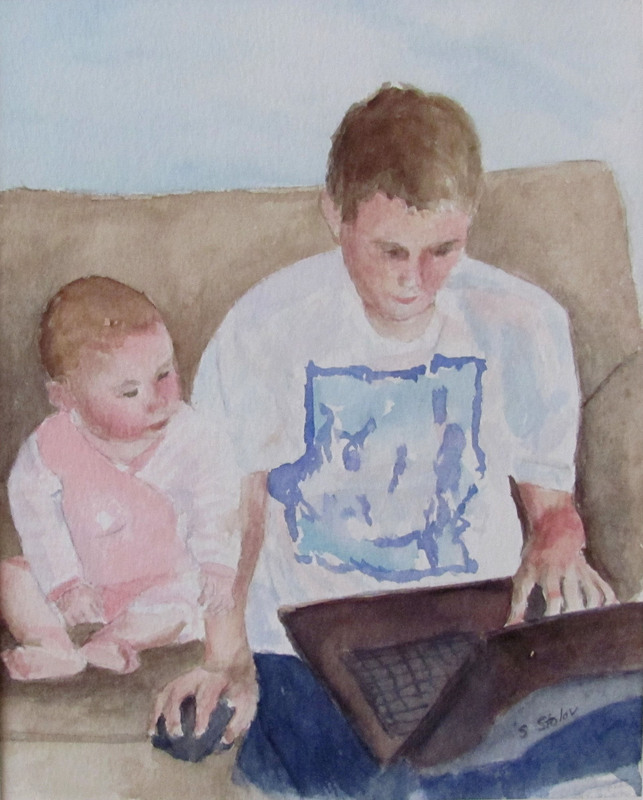 Working in watercolor and acrylic, Susan has captured images of family life, her beloved cats, and still life scenes. In the future, she plans to venture into oils and (perhaps) contemporary themes. Check out the gallery for great special occasion gift ideas! All sales benefit both the artist and Lifelong programs.